Are you ready for the return of Doctor Who? A new trailer has been released for the premiere of the series! 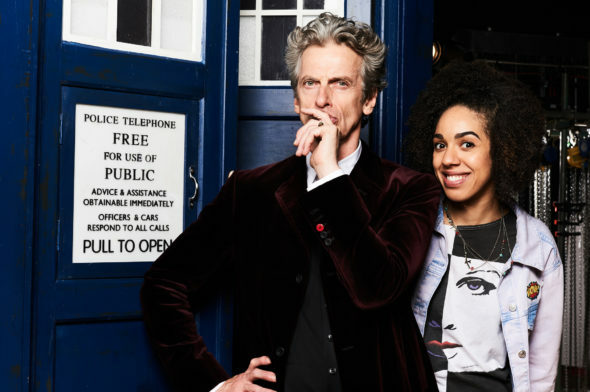 Doctor Who will premiere on April 15, and it will be joined by the new spin-off series titled Class. BBC America shared a press released revealing more about the return of the series. Check out both those details and the new trailer below. “BBC AMERICA has just released a Doctor Who New Companion Trailer in the build up to the all-new season premiering Saturday, April 15 at 9/8c, followed by the series premiere of spin-off Class* at 10/9c. Doctor Who is a BBC Cymru Wales production for BBC One and a BBC AMERICA co-production. Are you excited for the return of this series in April? Tell us what you think. More about: BBC America TV shows: canceled or renewed?, Doctor Who (1963), Doctor Who (2005), Doctor Who (2005): canceled or renewed?